Switzerland is home to Milka chocolate, cow bells and a bit of the Alps but, more impressively, a whole host of luxury watch brands. If you have even a semblance of knowledge about the high-end timepiece market, you’ll be well aware of some of the watchmakers that herald from the small, neutral country – these include TAG Heuer, Breitling, Zenith and Longines watches. 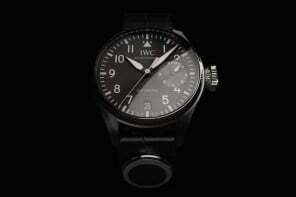 But if it’s traditional, stylish and one of the most well-respected watch brands from Switzerland that you’re after then it’s difficult to look beyond IWC watches. 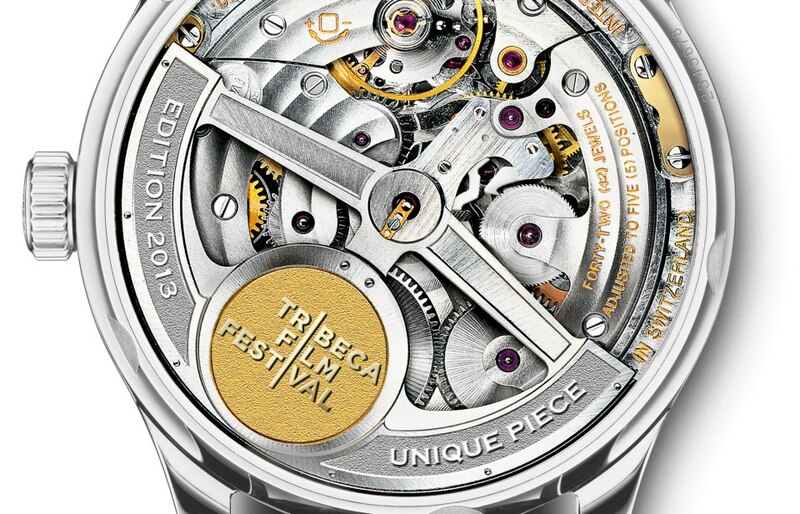 If you’re into your acronyms, you’re probably aware that it stands for the International Watch Company and they were founded by an American watchmaker in the small, Swiss town of Schaffnausen in 1868. 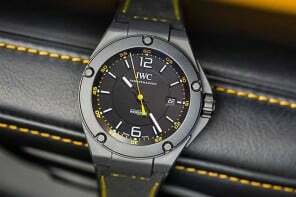 But if it’s traditional, stylish and one of the most well-respected watch brands from Switzerland that you’re after then it’s difficult to look beyond IWC watches. If you’re into your acronyms, you’re probably aware that it stands for the International Watch Company and they were founded by an American watchmaker in the small, Swiss town of Schaffnausen in 1868. 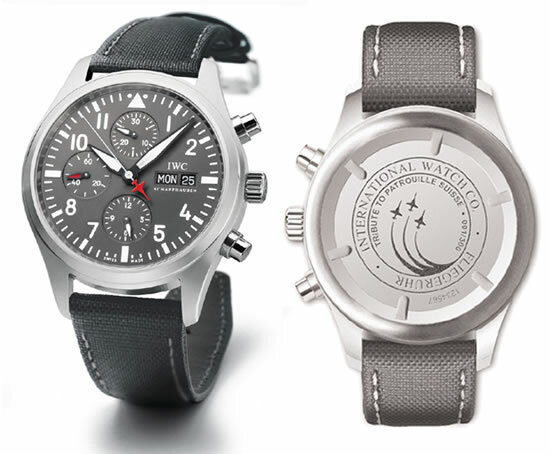 The Pilot range of timepieces from IWC is undoubtedly one of their most famous and is boasts the sort of masculine, aviation feel that has become commonplace amongst many of the luxury watches from IWC. 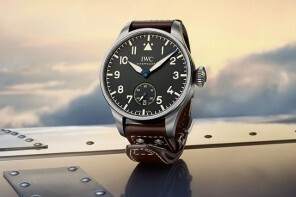 You’ll need a fairly hefty budget if you want to enhance your wrist’s style with IWC Pilot watches as they will cost between £3,000-£10,000 ($5,000-$16,000) but it’s fair to say that it’s money well spent. 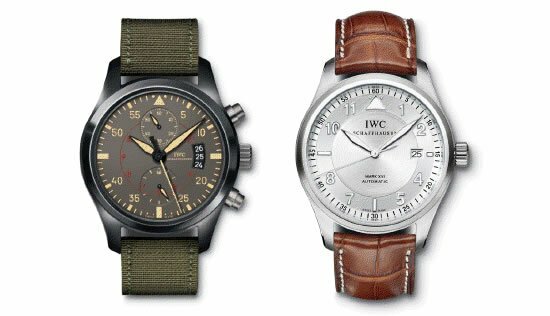 If you fancy yourself as a bit of a dapper pilot, then this is exactly the right watch for you…but hold your judgement until you’ve seen a few more of IWC’s watches. There is an interesting story behind IWC Portuguese watches and one that adds even more cache to this already well-respected watchmaker. Back in the 1930s, two Portuguese businessmen had the temerity to challenge IWC to craft a wristwatch which boasted marine chronometer accuracy – this may not sound like a big deal to you and I but, at the time, this would have been a mightily impressive piece of craftsmanship. In order to achieve this accuracy, IWC Portuguese watches are a combination of traditional nautical instruments and more progressive and conventional contemporary mechanics. 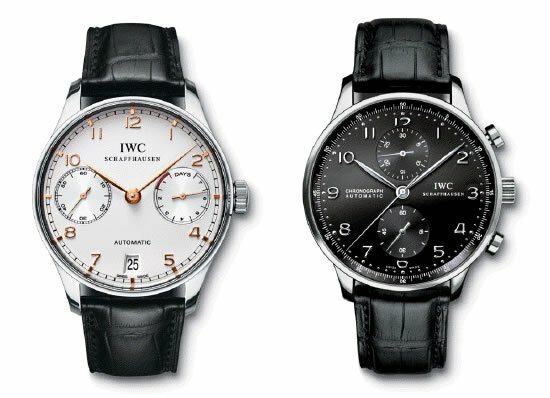 IWC are well-known for the accuracy of their timepieces and the Portuguese collection is a fine example of the precision on offer. If you’re a fan (or, perhaps, hate) alligators, you’ll be glad to hear that each of the watches within the IWC Portuguese collection comes with an alligator leather strap of various different colours. 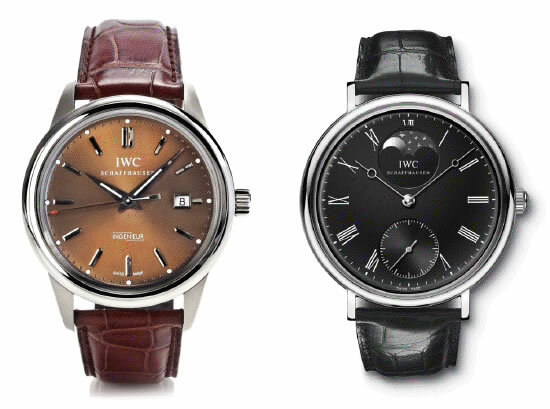 As mentioned, IWC are famed for their capability to produce watches that are both modern and contemporary and much more traditional style watches – enter IWC Vintage watches, such as the two stunning timepieces pictured above. The Vintage collection from IWC is unquestionably testament to a bygone age when this sort of understated luxury really stood out from the crowd. 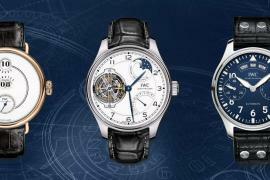 Each of the IWC Vintage watches that are available today were as a result of IWC celebrating their 140th birthday back in 2008 and recreating their 6 best-loved vintage watches from over their existence. All images used courtesy of The Watch Gallery where you can discover an extensive range of men’s luxury timepieces including TAG Heuer, IWC, Breitling and Cartier watches. 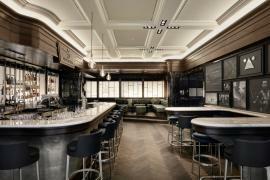 This article was contributed by Leo Parker. Leo is a luxury watch afficaindo and blogger. He is in awe of Baume & Mercier, TAG Heuer and Breitling.